Life University graduate serving Raleigh since 2001 with quality chiropractic care, now specializing in sports injuries and the Webster Technique for pregnant women. Spinal Decompression and Laser Therapy are also available. 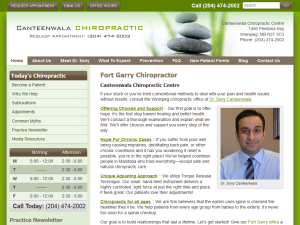 Life University graduate provides chiropractic care in the Fort Garry neighborhood in Winnipeg, MB since 1999.